-One day when we went to library story time, Aly ran up to the librarian, showing her her wrist and said, "Look! I have veins! Can I see your veins?" -One day Aly was cupping her hands and said, "Mamiiiii, I have a surpriseeeee for youuuu....it's a mouse!!" Thank goodness she was just pretending. -One of our favorite things about Aly is how polite she is. I particularly love when she says "thank you so much!" We had lunch at Ron's office one day, and when I told her we were going to have lunch with Papi, she said, " I get to see Papi today?!! Thank you so much!!" -At dinner one evening, she said, "I don't like Parmesan, but thank you for offering." -Aly has been "reading" tons of made up stories lately. One of my favorites went something like this: Once upon a time there was a little girl named Aly. She went to bed and then was standing and swinging like a monkey. Then Papi came in and told her no and put her in the pack-n-play where she cried and cried and cried. The end. -We've been going through a book of catechisms with Aly for the last year, and she knows about 25 of them now. What's really incredible though is being able to see her use this knowledge. One night, I told her some of our friends were coming over to learn about God with us (community group). When the door buzzed, Aly got excited and said, "God's here!!" So I asked her, where is God though? Aly said, "everywhere." And can we see God? No. Just talking through those questions in that moment she realized God wasn't at the door haha. It was a cute moment. -A new thing Aly has started is some dinner table chat. When we sit down, Aly loves to ask Papi, "How was your day?" "How was work?" "What did you do today?" -This month has been a trying one behaviorally with Aly. She is particularly defiant at nap and bedtime. Also, Fynn is more resilient at bedtime, so they have a really hard time settling down now. So we are still trying to figure out the best situation for that. Right now, we've been moving her to our room when she does something she's not supposed to, and then transferring her back to her bed when we go to bed. -We have started BSF back up, which Aly is thrilled about. She is happy to see her little friends again. She has one boy she particularly likes, and after class she told me that she was talking to him instead of God during quiet time!! -We took a day camping trip at Bear Mountain and a blast! Aly loved playing with Henry's fishing pole, swimming in the lake, and roasting s'mores. 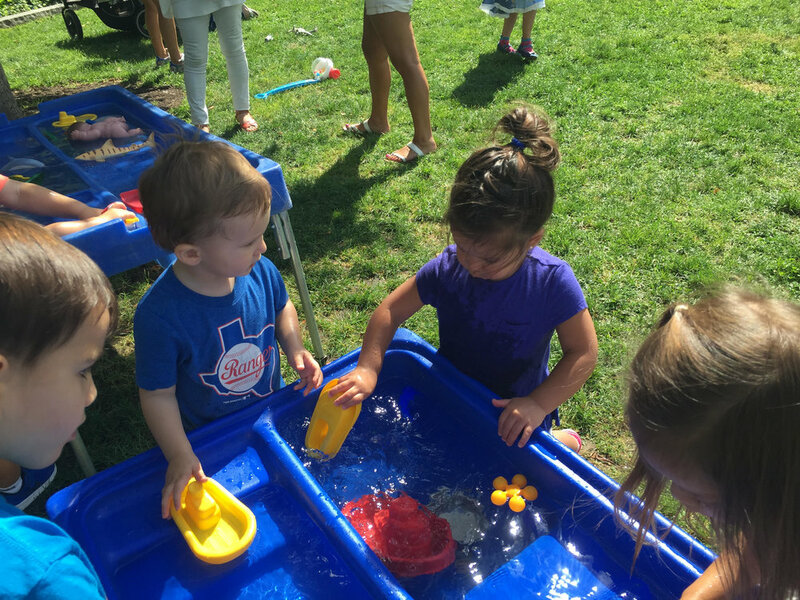 -We ventured down to Battery Park one morning for Preschool Play. There were tons of stations of activities for the kids to do. It was so fun! -I took Aly and Fairley to the Museum of Ice Cream! This was such a fun adventure for the girls. They were both so excited and enjoyed every second. There were edible balloons, a chocolate room, a sprinkle pool, taste changing ice cream, and an ice cream playground. Needless to say, they had a blast....and Candace and I payed for the no nap and sugar afternoon that evening!! -We visited the Schmidts at their new house in Jersey for the first time! Aly and Galilee were sooo happy to see each other! They played nonstop and had such a good weekend! 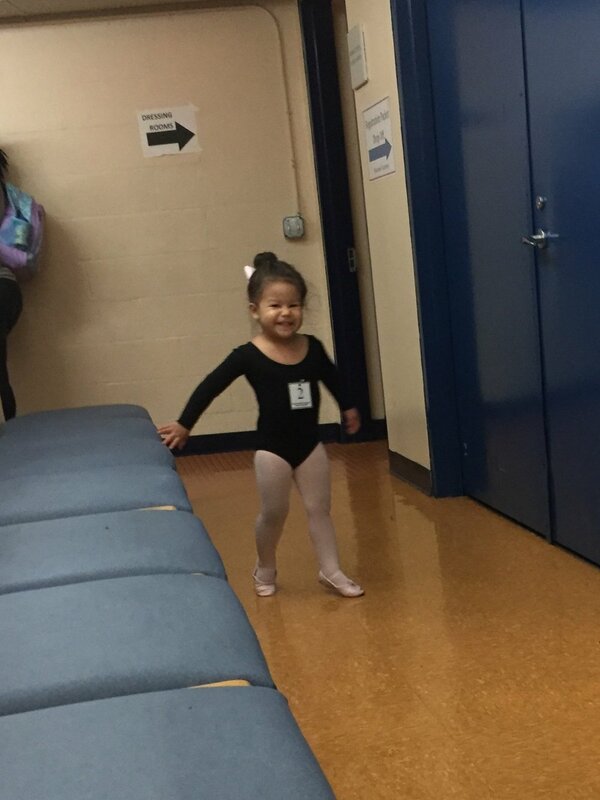 -Aly had her very first ballet audition this weekend! Aly is on the younger side for the class, but she did so well! She went into the new class without any tears, and the teacher said she did so great! We should know her placement this week. Excited for the ice cream museum! Oh you know, just waiting for some deli meat at the grocery store.